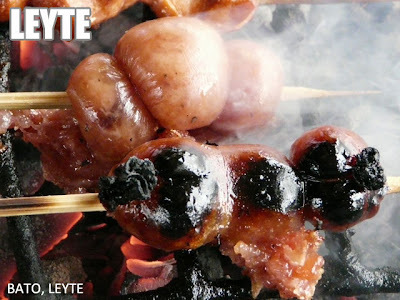 The Leyte version of longaniza is sweet (or matamis). Each link is further divided into three shorter links shaped like balls. 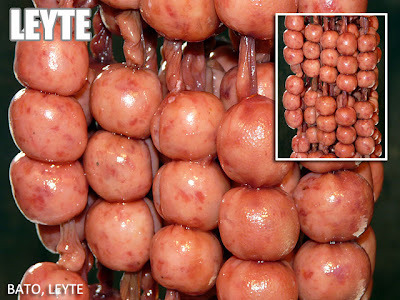 This Leyte longaniza is from the Bato Public Market. The one being grilled in the lower photo is available at stalls beside the Bato Port Terminal. oooh...they're like squid balls! i love sweet! Is there a way I could have a recipe of Longaniza? Please, I need a recipe of this one..